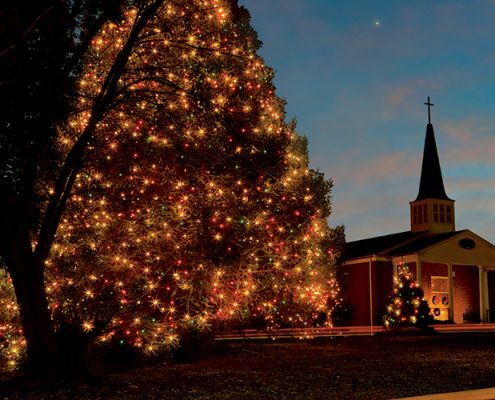 Each season, just west of Charlotte, the quaint town of McAdenville becomes a Christmas wonderland. Almost overnight, the little textile town that could is transformed into Christmas Town U.S.A.®, attracting visitors from across the country. It all started in 1956, when the McAdenville Men’s Club along with Mr. W. J. Pharr, Pharr’s founder and president at the time, conceived the idea of using red, white and green lights to decorate the trees around the McAdenville Community Center. 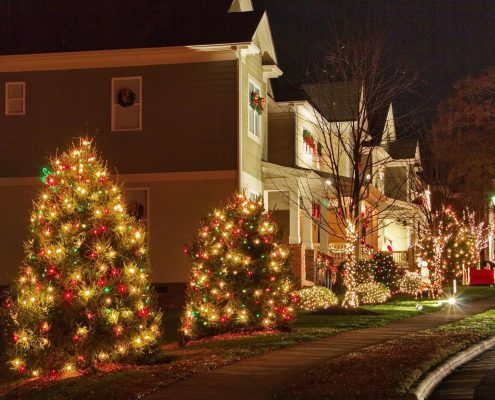 Now, more than 375 trees and nearly all the community homes are alit in spectacular fashion with red, white and green lights. It is a sight to behold for the 600,000 annual visitors, both young and young at heart, who walk along the wreath-lined route through the center of town. This true Christmas tradition has spanned nearly six decades. 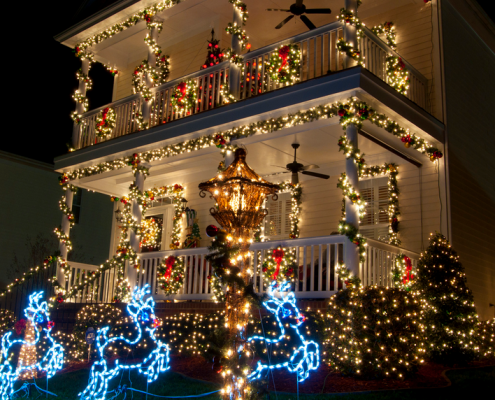 McAdenville’s Christmas Town, U.S.A.® was ranked as one of the best cities to see holiday lights by Redfin in 2015. The town has also been featured nationally on ABC’s Good Morning America, 700 Club, HGTV, MSNBC and Turner South Network. Christmas Town, U.S.A.® has appeared in numerous magazines and news publications, both in the US and abroad. 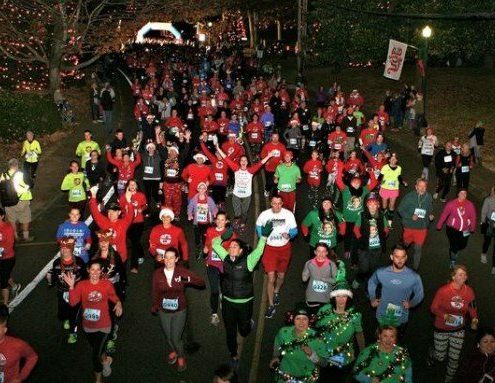 Join 1200 of your closest friends and celebrate the kick off to Christmas Town USA™ with a festive 5K under the lights! Walk or drive through our downtown area to view the frosty majesty of the winter landscape adorned with green, red and white lights. Each December, Christmas Town, U.S.A.® is kicked off with a Tree Lighting Ceremony in honor of Mr. and Mrs. W. J. Pharr. 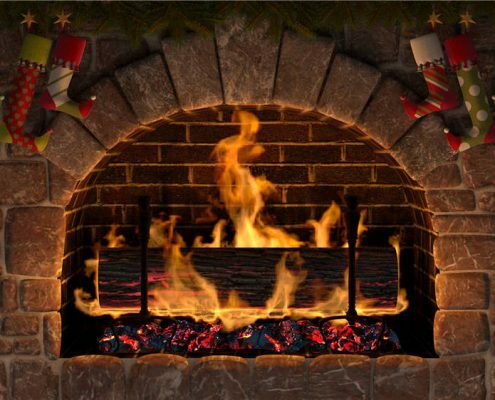 The Yule Log Parade, which began in 1949 and pays tribute to the true spirit of community that makes McAdenville stand out during Christmas.